Limited editon of 555 copies. Includes 12"x12" 4-page booklet with lyrics to most of the tracks. 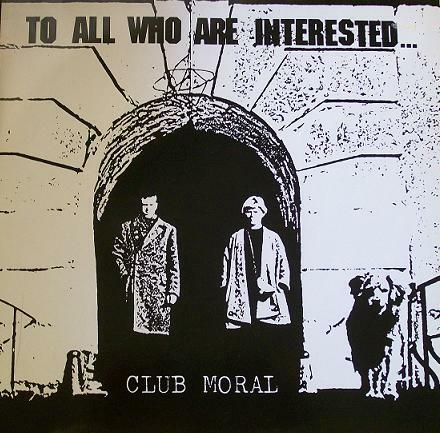 All tracks by Club Moral. Produced by Cthulhu Records. Lyrics on A4 from Wilhelm Stekel's "Sexual Aberations". Lyrics on A5 from Jack Henry Abbot, 1981. Lyrics on A6 from Gabriel Smit, 1939. Lyrics on B1 from an unidentified suicide note, 1957. Lyrics on B3 from Boutens, 1939. Lyrics on B5 from Joseph Kallinger, The Shoemaker, 1982.